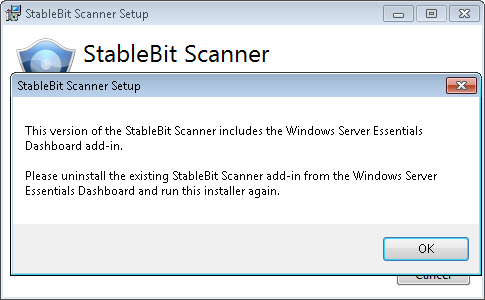 A new BETA of the StableBit Scanner is now available for download. This is mostly a bug fix release with some minor enhancements. 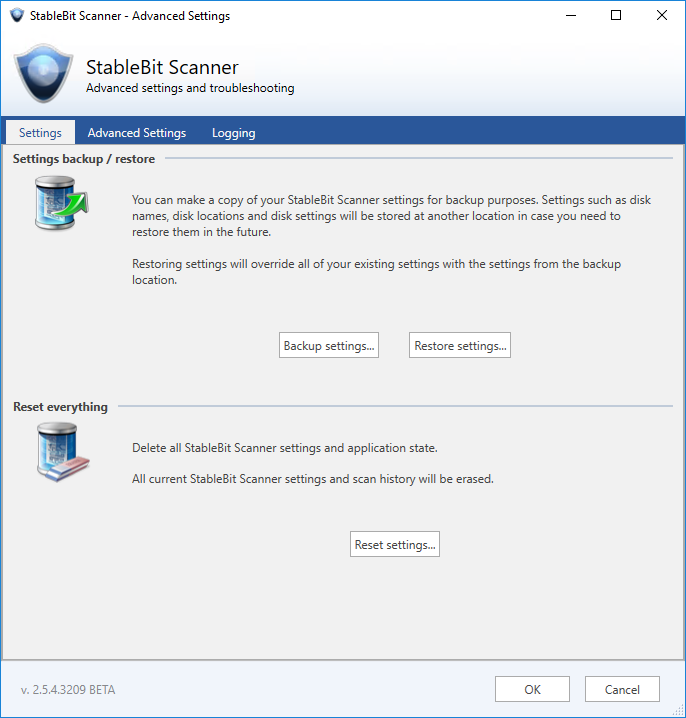 Under advanced settings and troubleshooting you now have options that enable you to backup and restore the StableBit Scanner settings and application state. 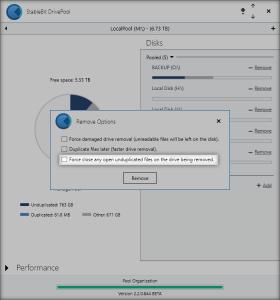 The backup is very straight forward, you simply pick a folder where you would like to store the backed up settings, and your settings will be backed to into that folder. 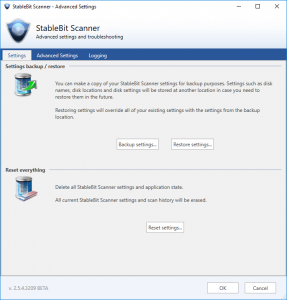 To restore your settings, simply select the same folder and the StableBit Scanner will override all of your existing settings with the settings from the backed up location. 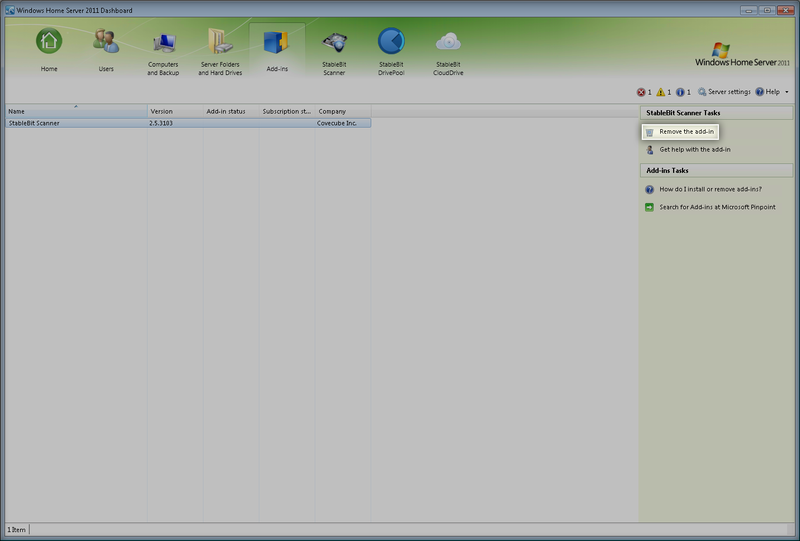 All non-UI related persistent data is backed up and restored. 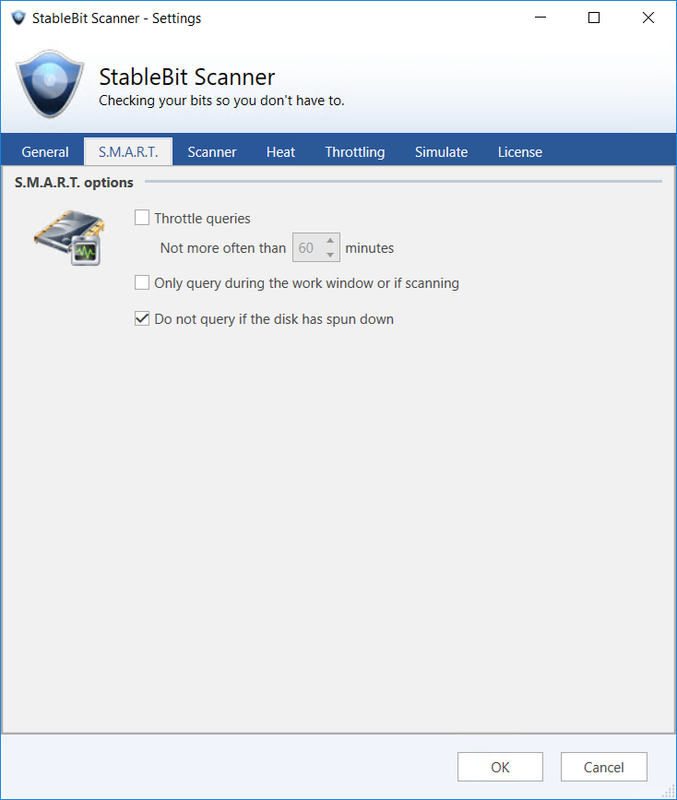 StableBit Scanner settings, notification settings, custom disk names, locations and scan history are among the things that are backed up. 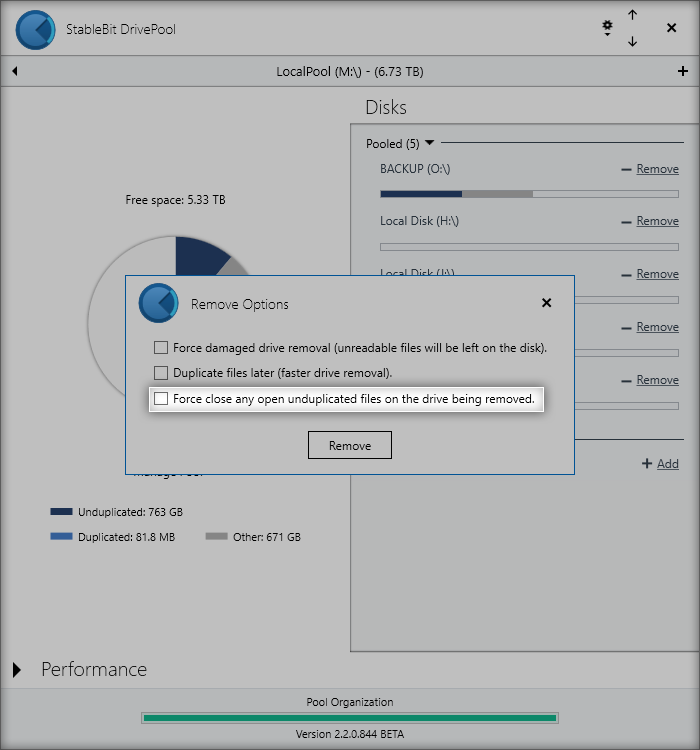 UI related data such as window position and state is not included in the backup. 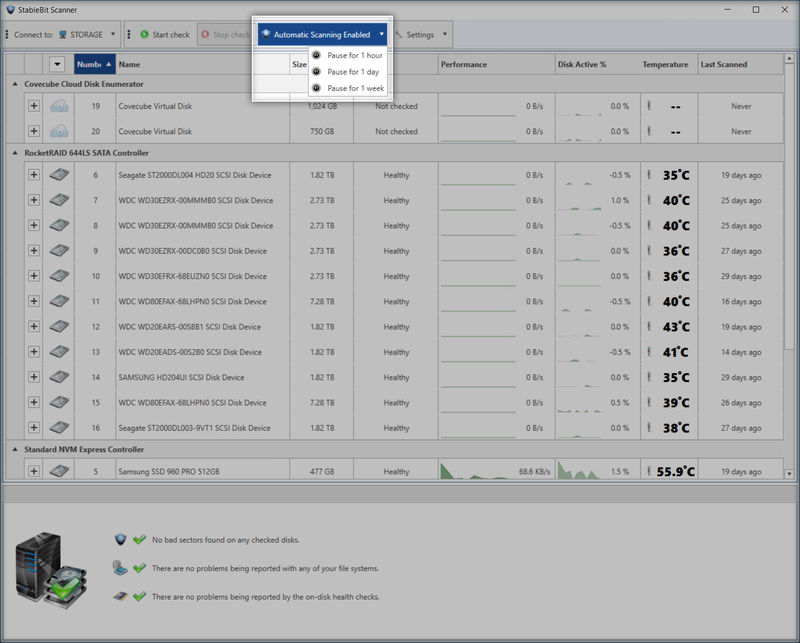 For NVMe drives, the StableBit Scanner now shows the PCIe version, width and link speed of that drive under Disk Details. 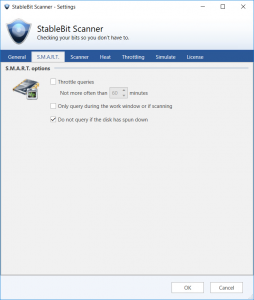 StableBit Scanner 2.5.2.3190 Release Final is now available for download. 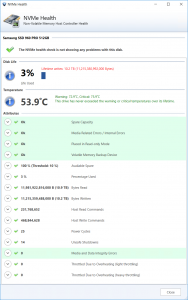 Full support for the NVMe 1.3 specification. 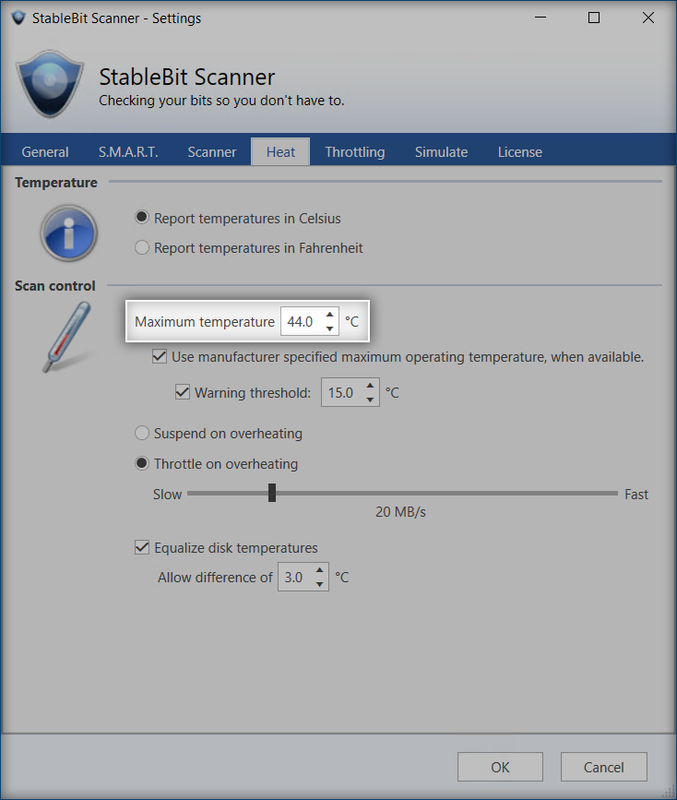 Updated support for ACS-4 and SATA 3.4. Bug fixes based on reported issues. Now let’s talk about some other noteworthy changes since my post about the last BETA. 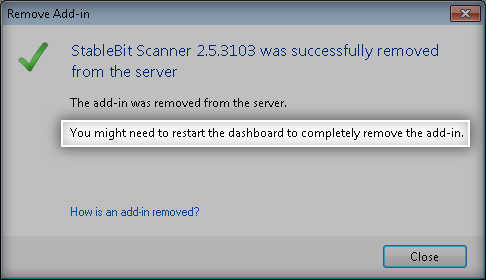 You now have the option of telling the StableBit Scanner to pause scanning for a period of time. 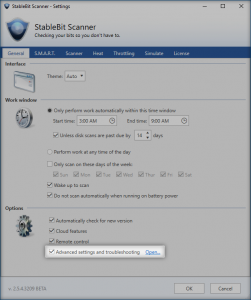 Scanning will be disabled for the selected time period and will automatically be re-enabled for you at the end. 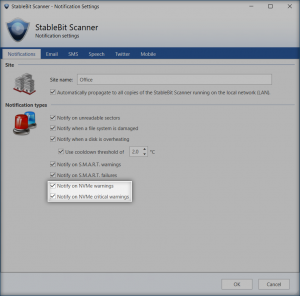 If you need to temporarily disable scanning for any reason, rather than disabling scanning entirely, this is a better option to use so that you don’t forget to re-enable it later. There are 2 new columns that you can enable for each disk, Disk Active % and Last Scanned. 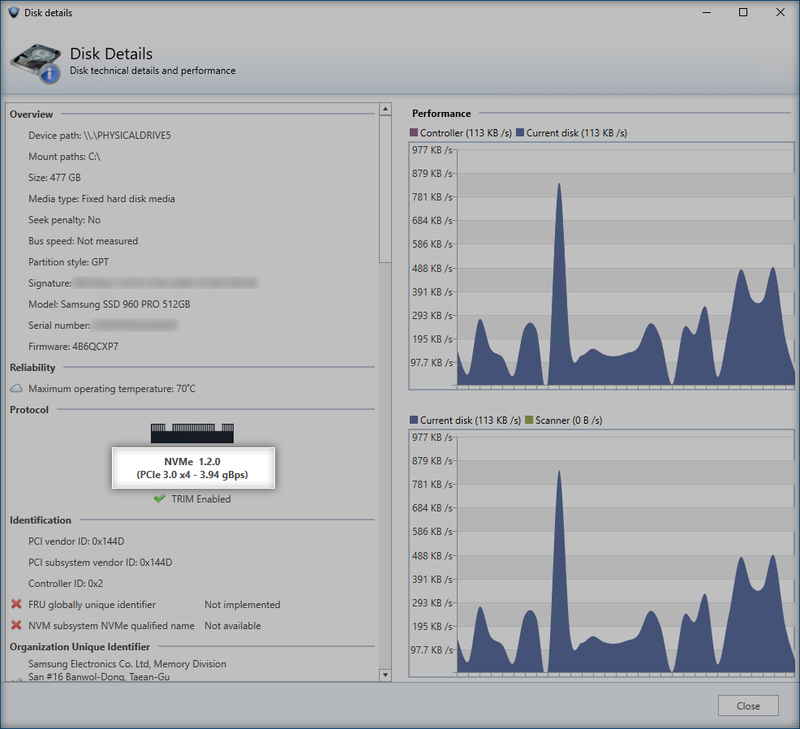 Disk Active % shows you how busy each disk is, with 0% being fully idle, and 100% being fully active. 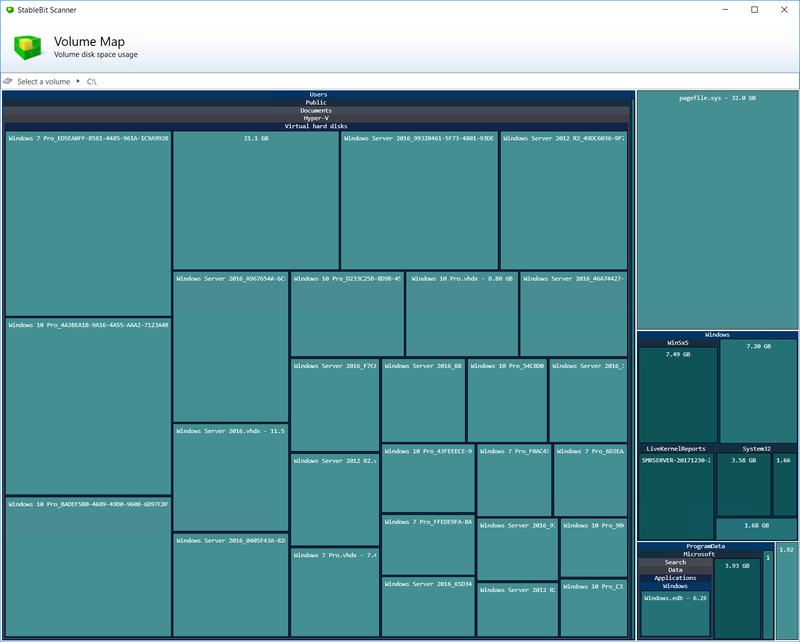 This offers you a quick at a glance view of how busy your entire set of disks are. Additionally, the Last Scanned column show how long ago the disk was fully scanned. In particular, this takes the time of the oldest scanned block on the disk and show you how long ago that was. 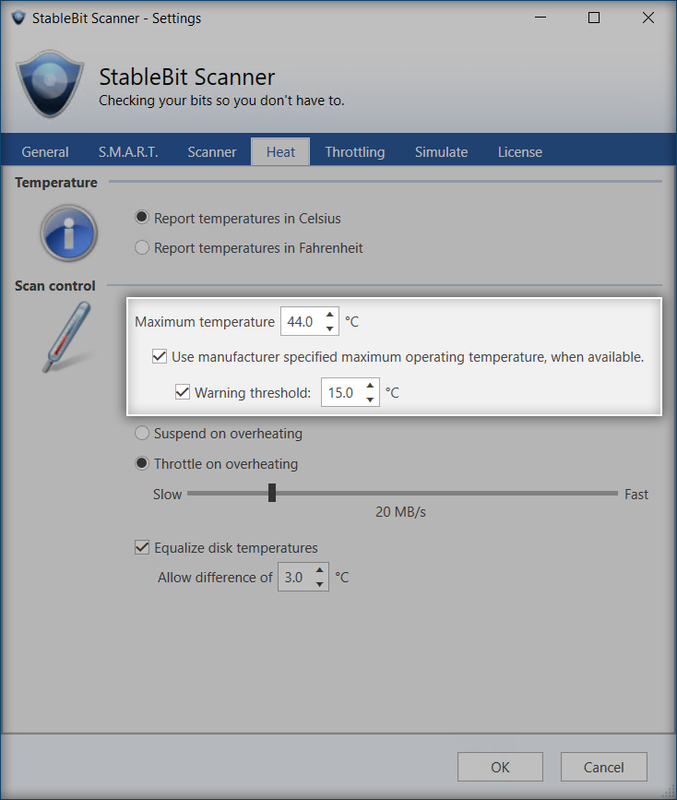 In addition to adding support for NVMe 1.3, the StableBit Scanner is now updated with support for ACS-4 and SATA 3.4. 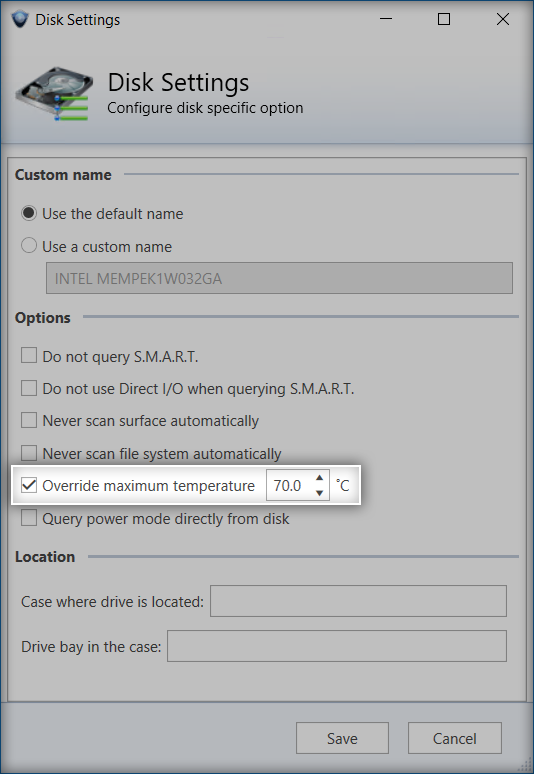 Additional TRIM information is also shown, such as whether TRIM is fully enabled and supported by the drive. This may not be immediately visible in the UI, but SMART interpretation rules (from BitFlock) have also received a large update on the back-end prior to this release. 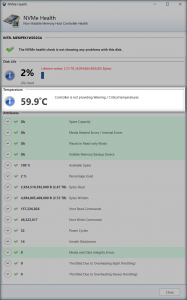 You may start to see SDD life and endurance information for your SATA based SSD where there were none previously. 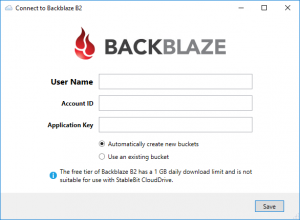 The latest StableBit CloudDrive BETA features 3 new storage providers, adds support for third party Amazon S3 services, and as always has a number of bug fixes and improvements. 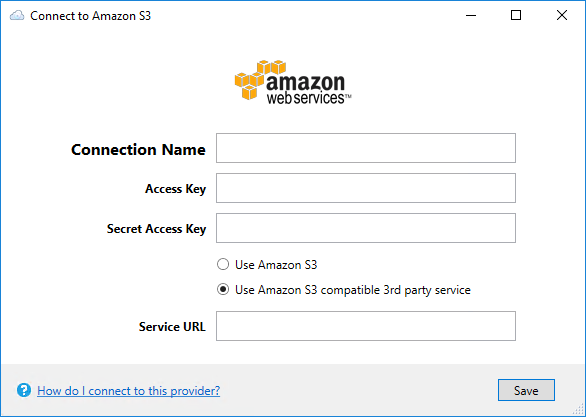 Amazon S3 now supports third party service endpoints. Just enter the third party service URL and you’re ready to go. For example, you can even use something like the the Minio server to set up your own Amazon S3 compatible storage endpoint. Backblaze B2 offers business grade storage at an affordable rate. OpenDrive offers very affordable personal and business plans, and even has unlimited storage space and bandwidth options. 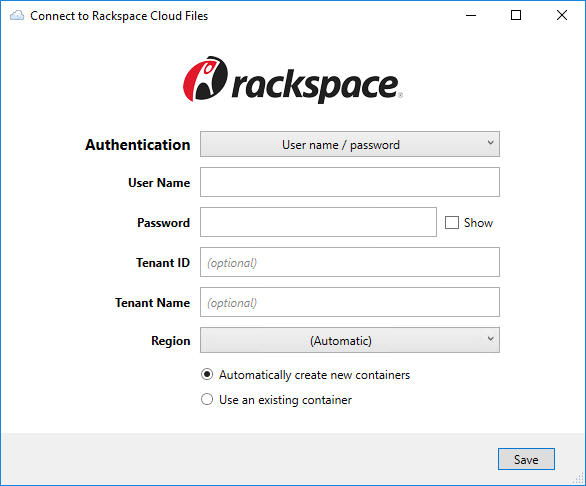 Rackspace Cloud Files is an enterprise grade storage solution powered by OpenStack. Additionally, this BETA features new default I/O performance settings that will get applied automatically to any new cloud drives that you create, saving you the hassle of configuring each new drive individually. That’s all for now. This is a pretty straightforward release, so we’ll try to make this a short BETA and hopefully have a release final out soon. StableBit DrivePool 2.2.0.906 is now available as a Release Final. For those who have participated in the community translation effort, thank you for doing that. This version has some significant community edits to the Japanese and Italian translations since the last RC, among other corrections. If you’d like to participate in the community translation effort, head on over to http://translate.covecube.com (powered by OneSky) and submit your corrections, or simply vote on some of the existing ones. Your edits will be included in the next release. Aside from the new features, a very big part of this release was about fixing any existing bugs and ensuring the stability of the application. 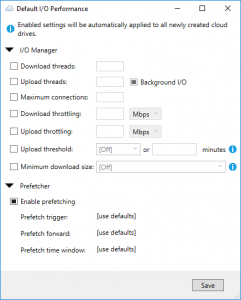 In fact, if you look at the full change log, almost every change prefixed with [Issue #…] is a fix that resulted from a user having a conversion with technical support that ended up spawning a Code Change Request. Most code change requests eventually ended up in a fix made to the code. After a lot of hard work, today, we are down to 0 open bugs for StableBit DrivePool. 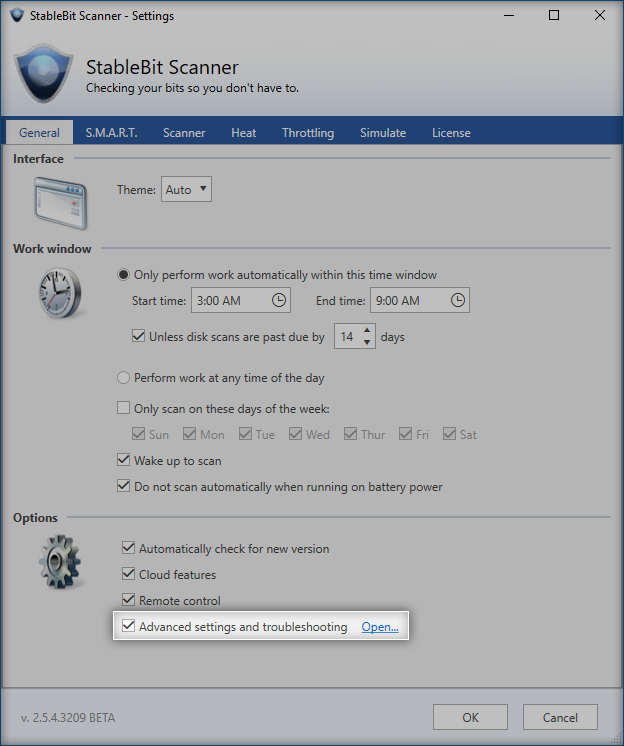 As a result this version is being made available as a Release Final. I’d like to give a big thank you to Christopher Courtney for heading up the technical support effort and for handling the myriad of issues that have come up over the testing cycle of this release. 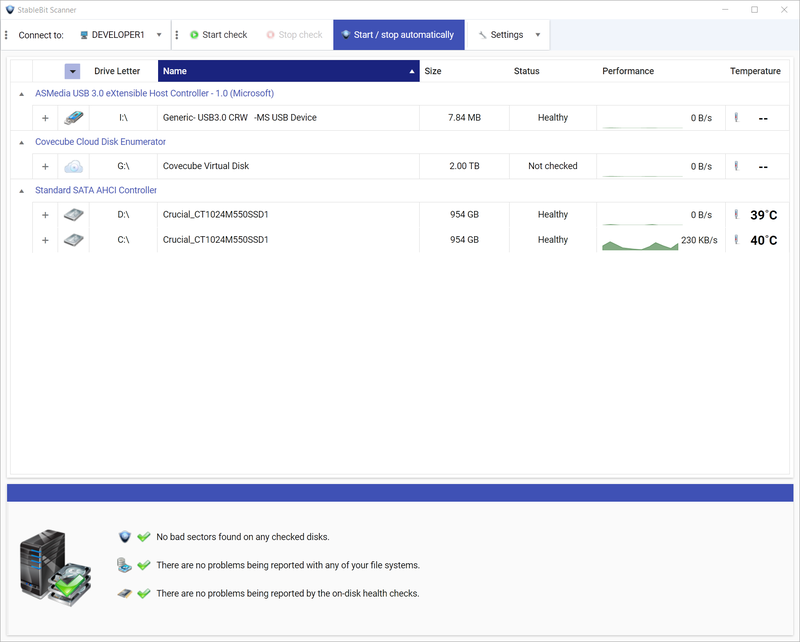 In this post, I want to highlight the most significant new features or changes since the last release final of StableBit DrivePool, which was version 2.1.1.561. Because I’ve already talked about some of the new features available in this release in previous blog posts, I won’t be going into much detail on those topics again. Let’s dive right into a short summary of each new feature that I would like to highlight. One very visible new feature is the new user feedback system. 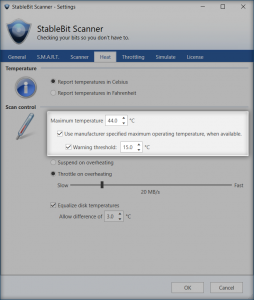 StableBit DrivePool is built as a task-oriented application. That means that almost every long running action is treated like a task that can end in various levels of success or failure. With user feedback, this is now exposed in the user interface. The result of each finished task is color coded using the above levels of severity. Additionally, a failed task may have actions that you can perform on it in order to resolve the failure. 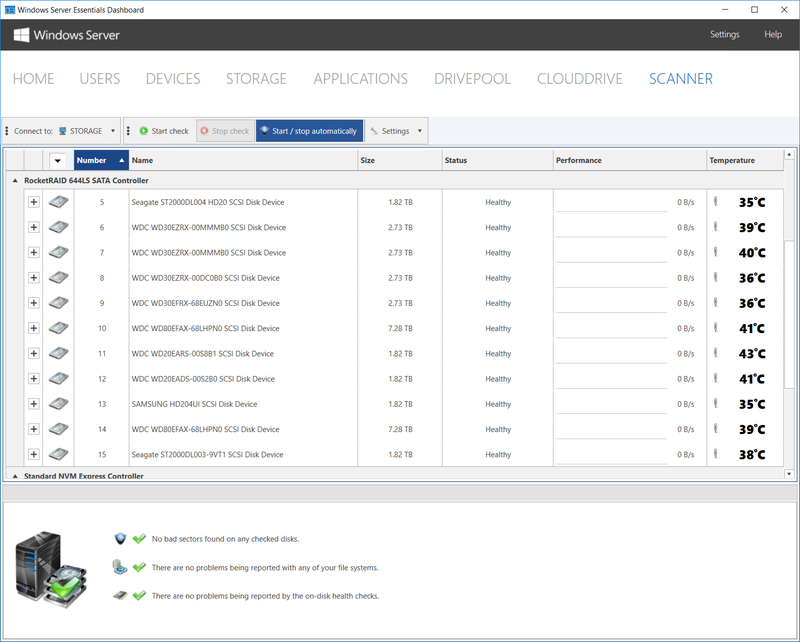 The process of removing a drive from the pool was mostly overhauled for this release in order to make it more robust and less intrusive. The pool no longer becomes read-only while a drive is being removed. 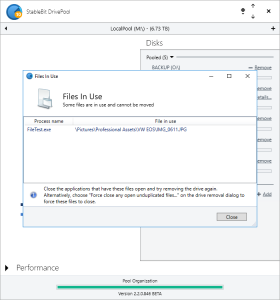 Duplicated open files can remain open on a drive that’s being removed. 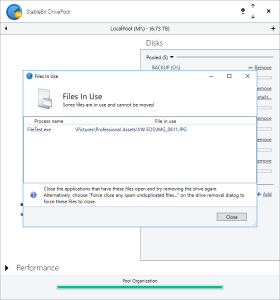 Unduplicated open files can be force closed (safely) on a drive that’s being removed. Hierarchical pooling support is a major new feature of this release, and I’ve covered it extensively in a previous blog post. A pool can now be added to an existing pool, just like a regular drive. 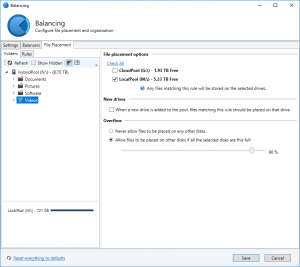 Each pool in the hierarchy has separate file duplication, file placement and balancing settings. A child pool can set individual file duplication, file placement and balancing settings on files that are stored in a parent pool. 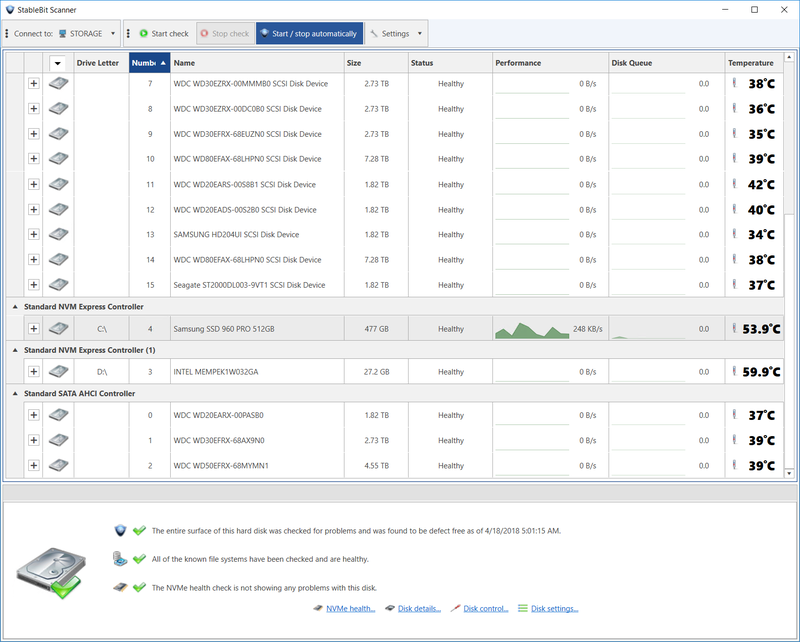 Each pool member (drive or pool) now has a read striping priority associated with it, and StableBit DrivePool will always try to read from the highest priority class available for each duplicated file. For example, if a file exists both locally and in the cloud, that file will always be read from the local drive or pool. Similarly, if a file exists on an internal drive as well as on an external USB drive, it will always be read from the internal drive. 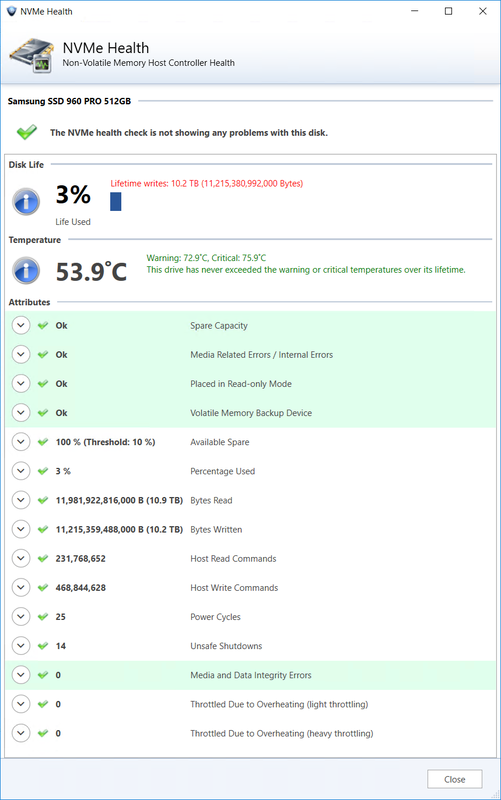 Disk tooltips have been updated as well with more information about each pool member. The type of the pool member will also be shown like this. 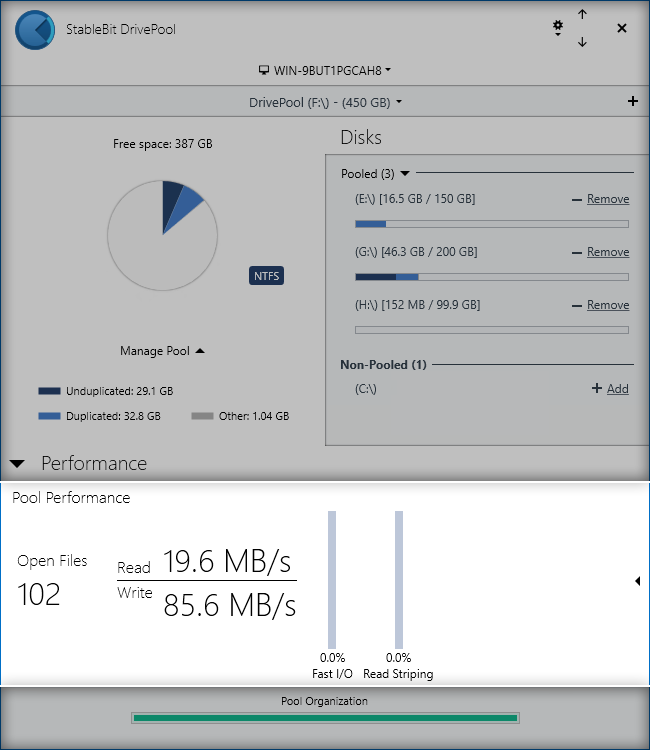 In addition to showing the instantaneous read and write speeds on the pool, StableBit DrivePool will now show how many files are currently open on the pool. Hovering over the open file count will bring up the file open rate tooltip (i.e. file opens per second). 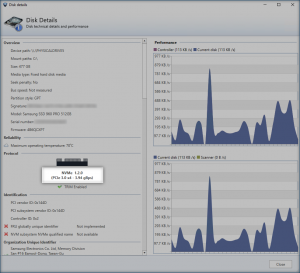 If your pool is consuming CPU cycles, and you’re not sure why, this is an important performance metric to take into account. 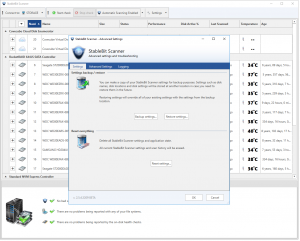 This version of StableBit DrivePool features some significant low-level performance improvements to the pooling file system. 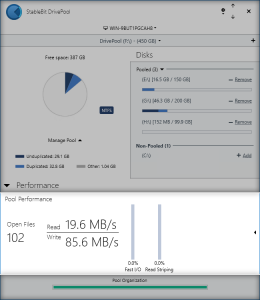 It should boot faster and require less overhead when opening files on the pool. 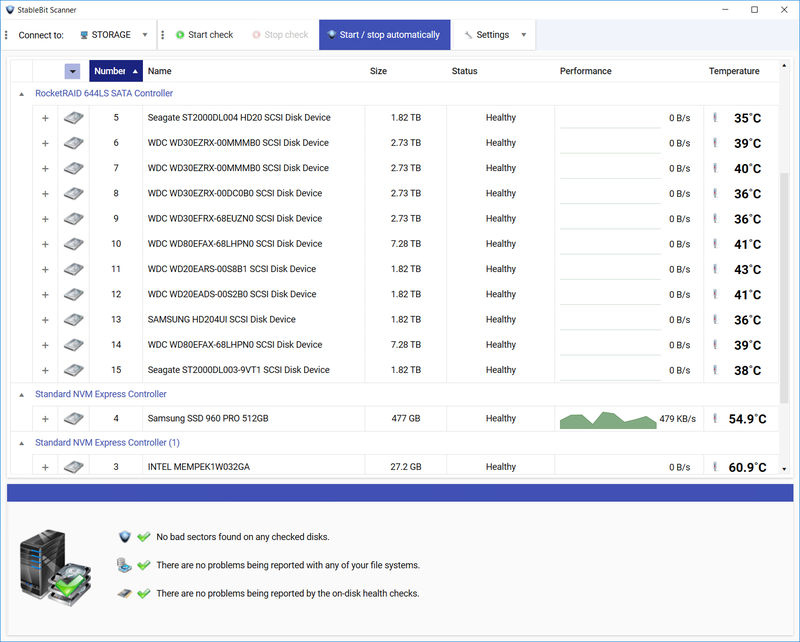 In order to speed up pool mount time and avoid missing disk warnings, each pool is now aware of how many pool parts it is comprised of. At boot time, a pool will wait for new disks to arrive for up to 10 seconds, but only if any pool parts are missing. Otherwise, the pool is mounted instantly. 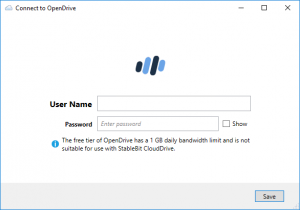 Previous versions of StableBit DrivePool would struggle to maintain a good file open rate when dealing with many thousands of concurrently open files. 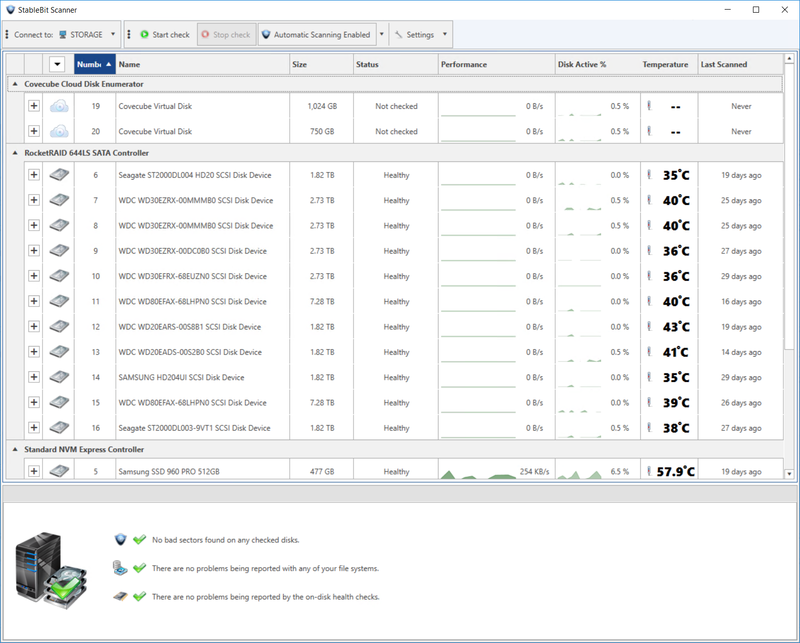 This would cause CPU bottlenecks, especially when dealing with large pools and Windows Search. 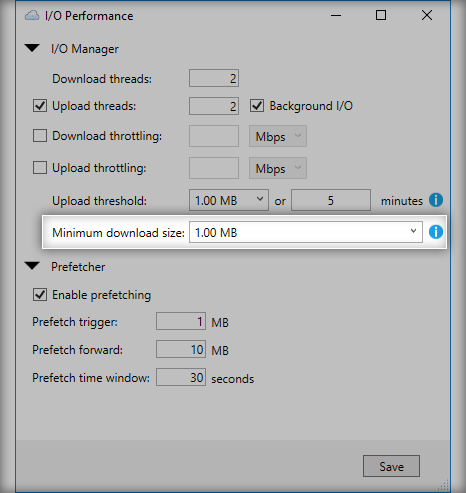 Thanks to an updated algorithm, version 2.2.0.906 can now handle up to 1 million concurrently open files without suffering a performance penalty in its pooling file system (provided that you have enough RAM). 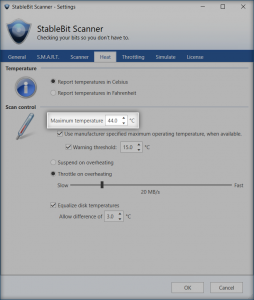 DPCMD is the command line utility that comes with StableBit DrivePool and offers some additional functionality. 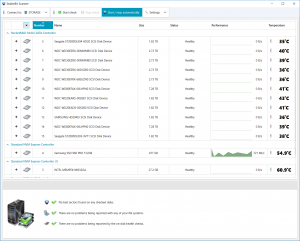 In this version, DPCMD can now list all of the open files on the pool. 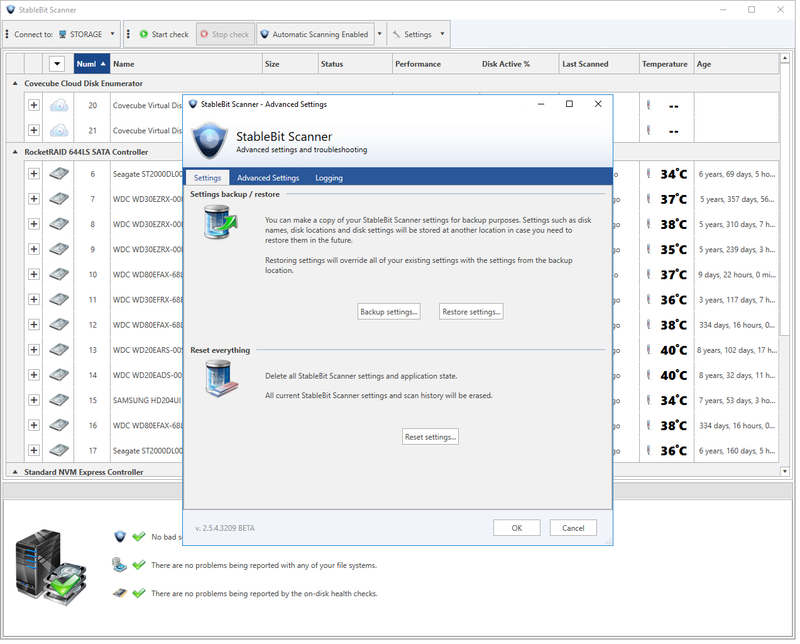 Unlike other methods of force closing handles, this will safely close only pool part handles by communicating with the pooling file system directly. It will leave the pool handle open, but any I/O attempted on the pool with that handle will fail form that point on. 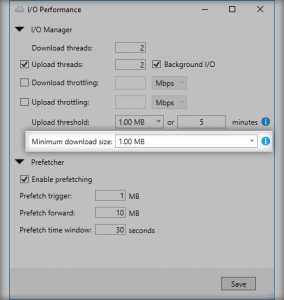 Real-time file size tracking was reworked. Proper support for remote to local symbolic links. Support for non-Microsoft reparse points. For a complete list of all of the changes, see the full change log. 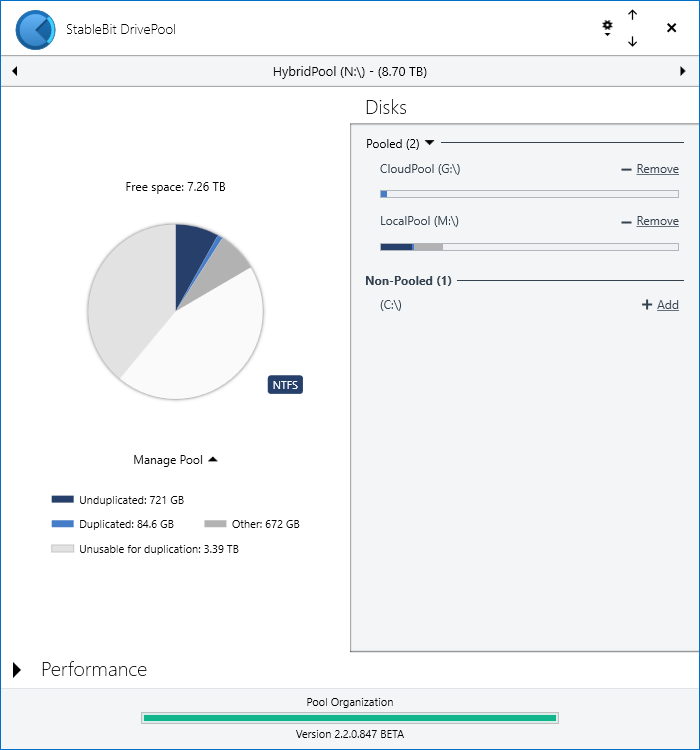 The Release Final of StableBit CloudDrive 1.0.2.976 is now available as well. 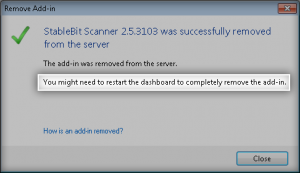 This release features mostly bug fixes and is meant to be used together with StableBit DrivePool 2.2.0.906. 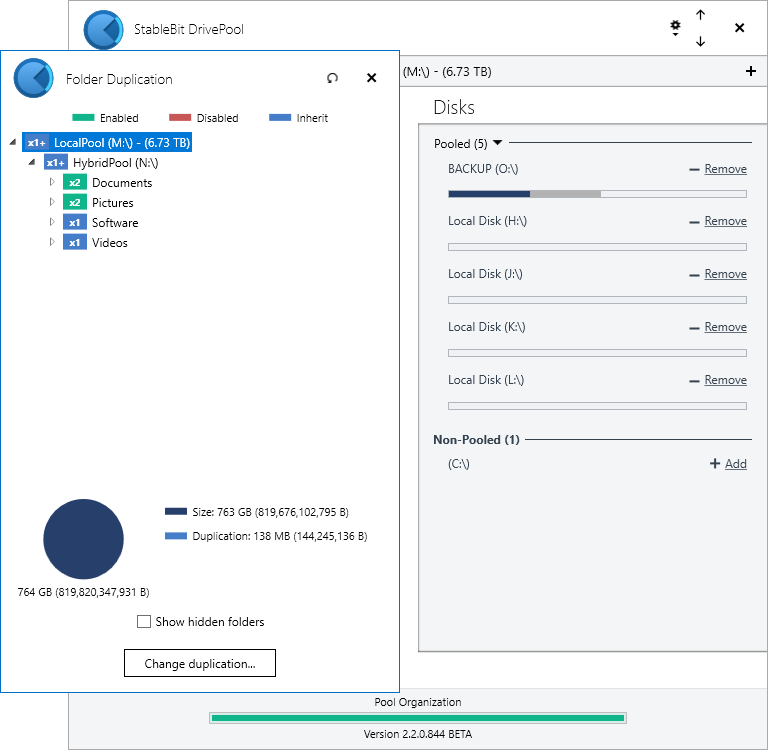 The Release Candidate of the next version of StableBit DrivePool is now available. 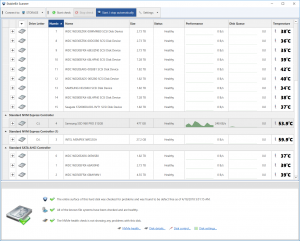 Compared to the last BETA (2.2.0.881) this version includes optimized performance when dealing with many thousands of open files, a more intelligent mounting process and localization support for 10 languages. This release features professional translations to 4 languages: French, German, Italian and Spanish. It also features community translations for: Bulgarian, Dutch, Japanese, Polish and Russian. If you are a native speaker of any of those languages and you’d like to make corrections to any of those translations, head on over to http://translate.covecube.com and submit your corrections. Don’t forget to star your translations because the build system will always pick the translations with the greatest number of votes. If you’d like to see a new language added, send us a note at https://stablebit.com/Contact. Any corrections submitted will be integrated into the next release final. Thank you everyone who has participated in the translation process thus far, we really appreciate it. If you find the new translations problematic, you can easily switch back to English by opening Settings and selecting Switch to English. 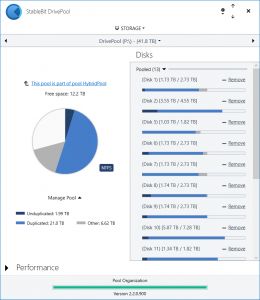 StableBit CloudDrive 1.0.2.975 RC is also now available. 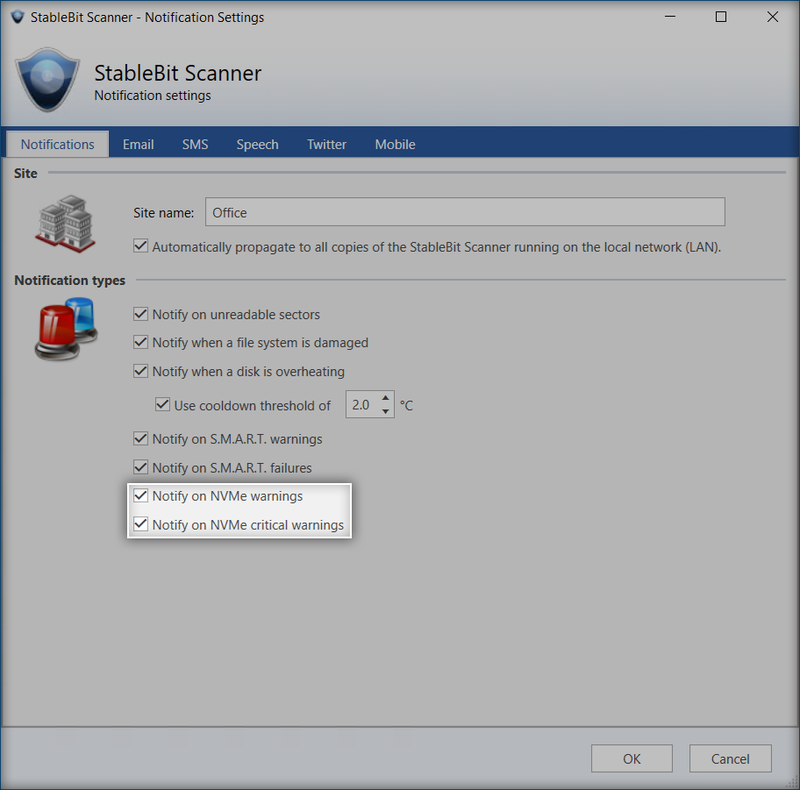 This is a companion release that improves compatibility with StableBit DrivePool when both are used together, and as always it also includes some bug fixes. Coming up next is the release final and I’ll make a more comprehensive blog post about what has changed since the last release final, version 2.1.1.561. A huge thank you to everyone who has purchased a license, recommended our software to someone else, and supported us throughout 2017. I hope everyone has a great 2018, and we have some really great things planned for this year, so stay tuned. 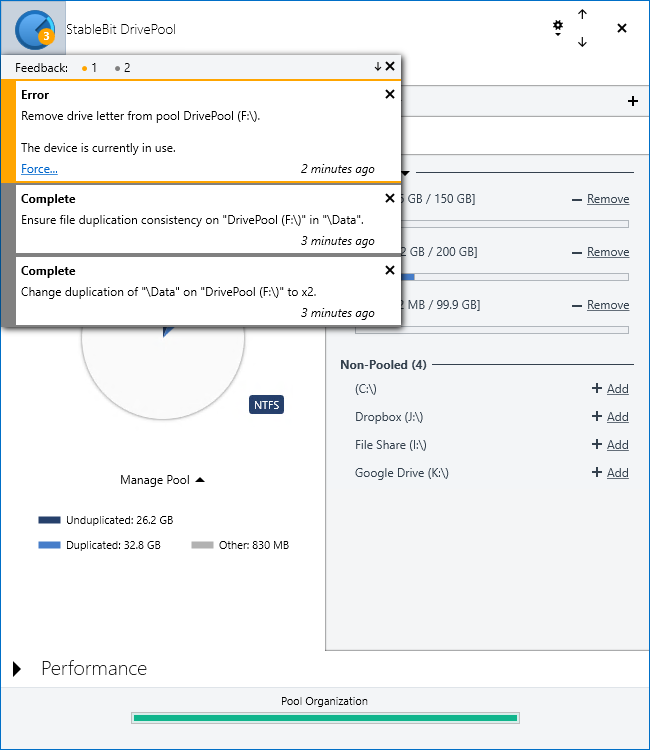 StableBit DrivePool 2.2.0.847 BETA is now out. 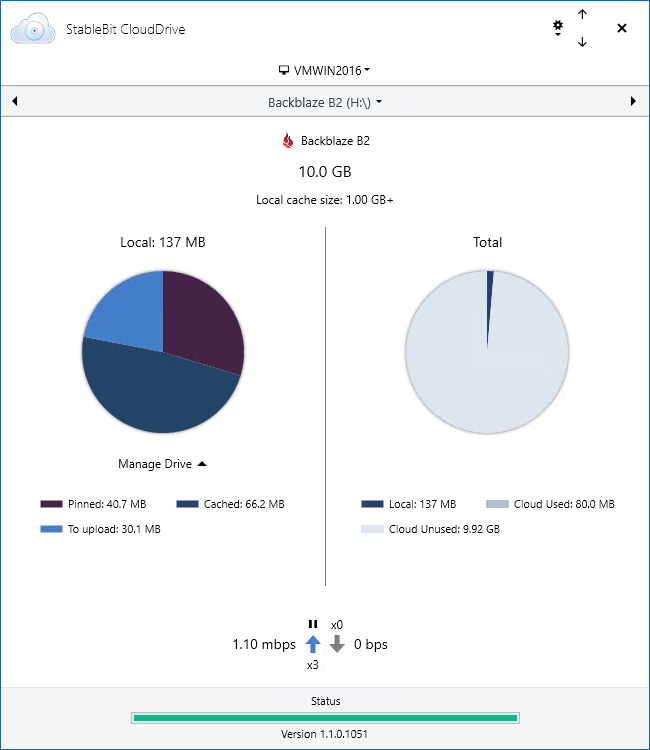 This new BETA comes with a substantial list of bug fixes, support for ReFS, an improved drive removal process, along with a brand new feature called hierarchical pooling. Let’s dive right into the big new feature. 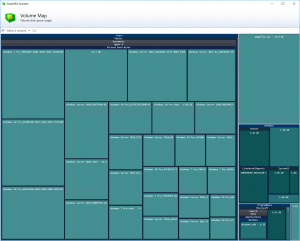 Simply put, hierarchical pooling allows you to add another pool to an already existing pool, or to create a new pool from an already existing pool. 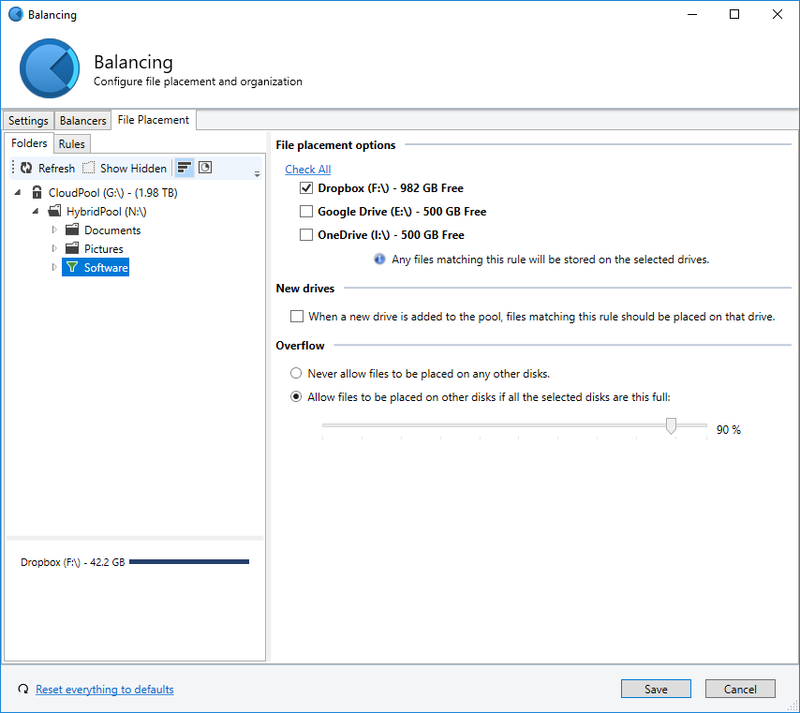 Just like in previous versions, each pool has its own separate folder duplication rules and file placement rules which give you fine grained control over how your files are protected and where they are stored. With hierarchical pooling, in addition to that, you can now control how the contents of the parent pool is duplicated across the child pool, and you can even use file placement rules to control which drives (or pools) should be used to store the contents of the parent pool. 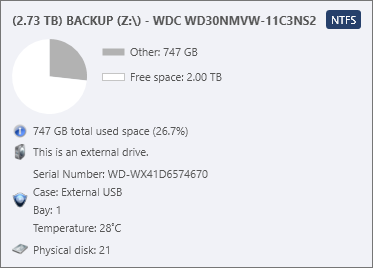 Let’s say that I currently have a pool that stores all of its data on a number of local disks. Let’s call this my LocalPool. 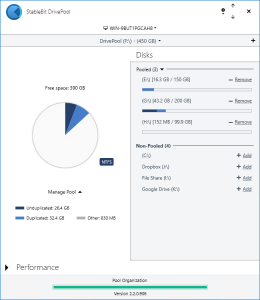 Now, let’s say that I have access to some cloud storage available across a number of providers, and that I’d like to utilize that storage to create a number of encrypted cloud drives. 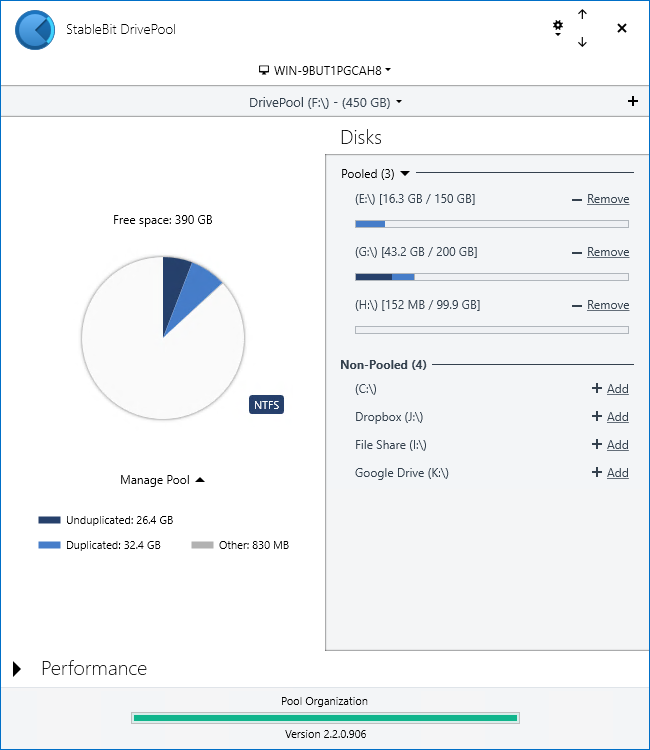 For convenience, I pool all of those cloud drives into one virtual pool using StableBit DrivePool. 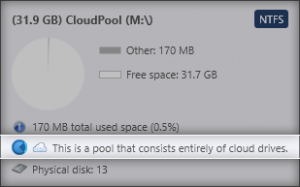 Let’s call this my CloudPool. I then decide that I want some of my data to be stored both locally and in the cloud (for backup purposes). 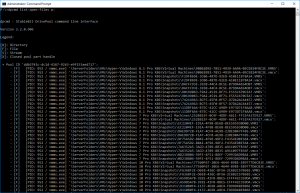 But at the same time, I still want some of that data to remain duplicated locally, just in case a local drive fails. I could of course manage all of this manually by copying files around across the different drives, but with hierarchical pooling in StableBit DrivePool, this is no longer necessary. 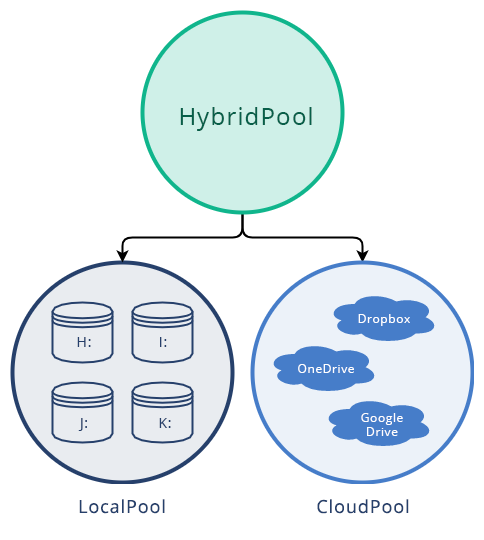 All I have to do is create a new pool that stores its data on CloudPool and LocalPool, and I’m going to call this my HybridPool. 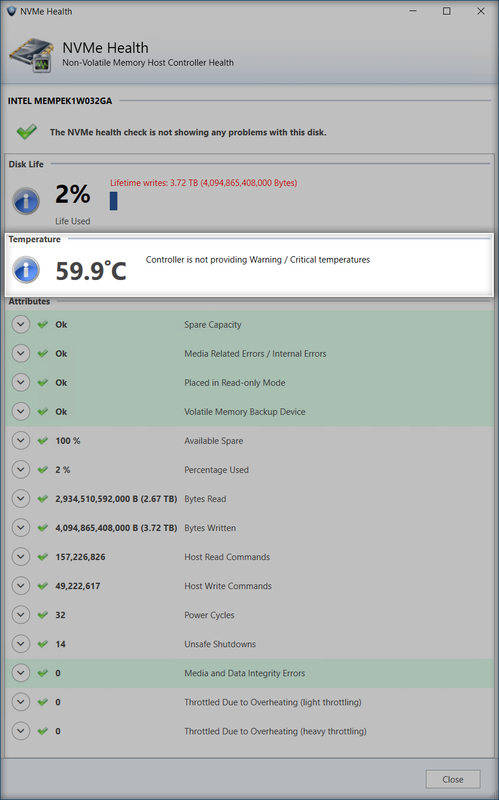 With this simple setup, I now have great flexibility over the data that is stored on HybridPool. Here, using the file duplication settings on HybridPool, I’ve told StableBit DrivePool that I want “Documents”, “Pictures”, and “Software” to be stored both locally and in the cloud. While at the same time, using file placement rules, I’ve configured “Videos” to be stored locally. Any data on HybridPool will now get automatically reorganized in the background to follow those rules. 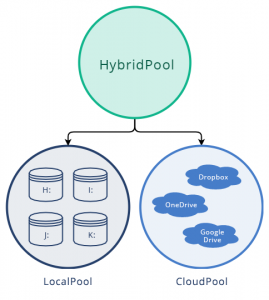 Any new data written to HybridPool will automatically follow those rules in real-time. But I want to go a few steps further. 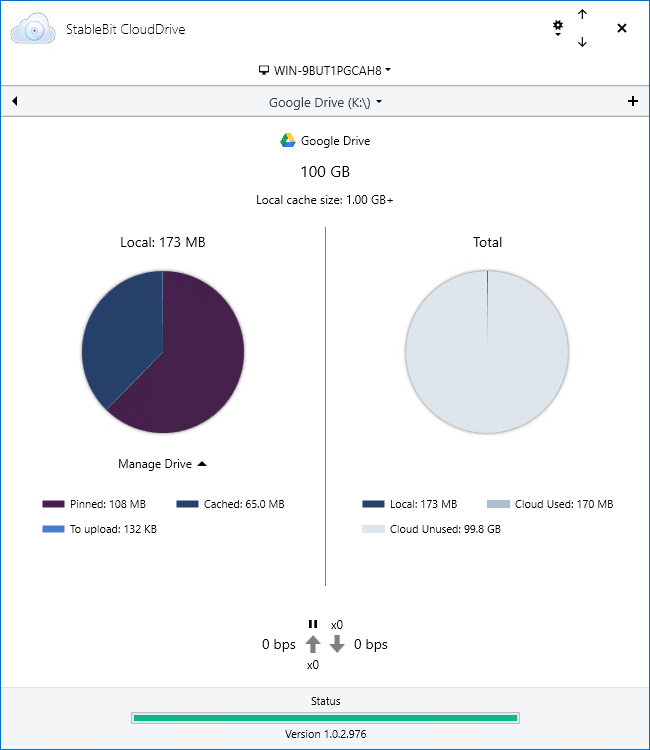 I want to have even greater control over how the data is stored both locally and in the cloud. 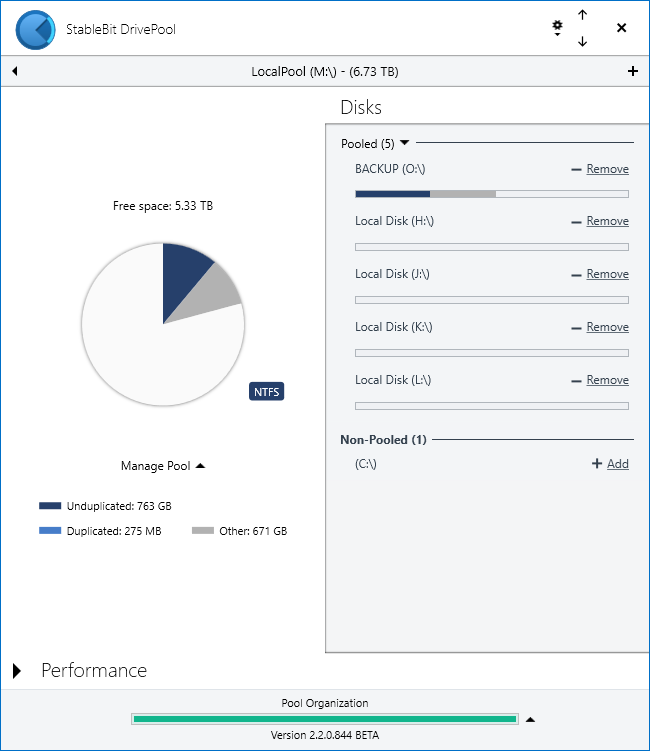 By setting the folder duplication rules on LocalPool, I can control how HybridPool’s data gets stored locally. Here, I’ve set up “Documents” and “Pictures” to be duplicated across 2 local disks, while “Software” and “Videos” will remain unduplicated. Using the file placement rules on LocalPool, I’ve told StableBit DrivePool that I want HybridPool’s “Videos” to be stored on a particular local disk. 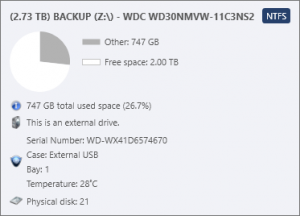 Now that I’m done setting up how my data should be stored locally, I’m going to set up how it should be stored in the cloud. 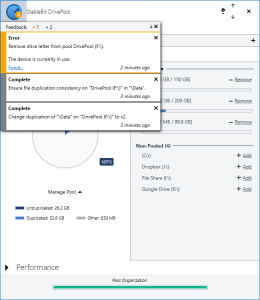 Using the folder duplication settings on CloudPool, I’ve set it up so that HybridPool’s “Documents” and “Pictures” will be stored across all 3 of my cloud storage providers. 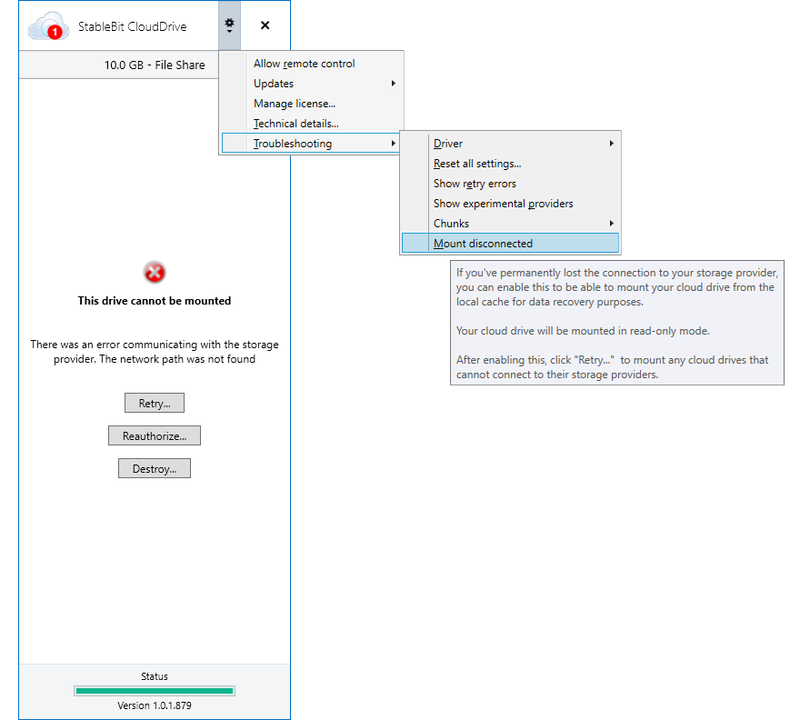 And using CloudPool’s file placement rules, I’ve limited “Software” to be stored specifically on Dropbox. What I’ve done here is set up very specific rules on how my data should be stored both locally and in the cloud using the new hierarchical pooling support in StableBit DrivePool. 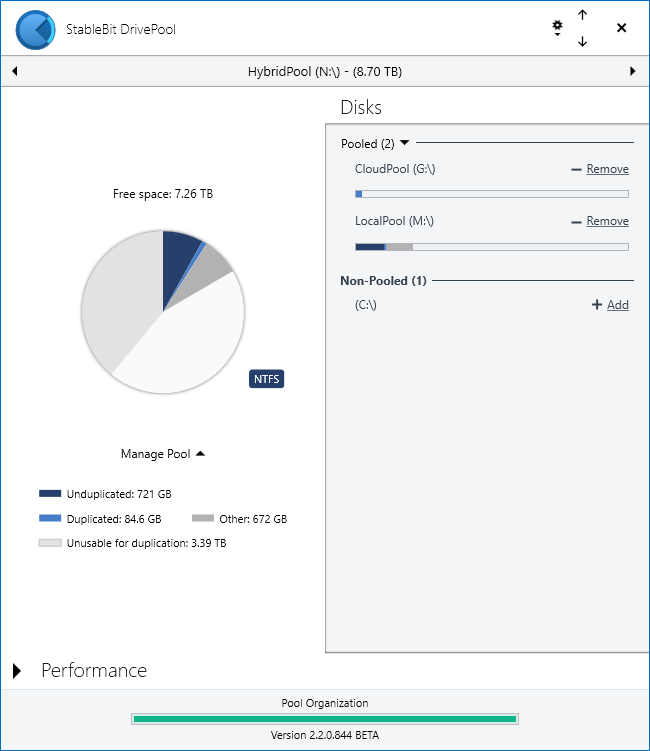 It’s worth noting that, while my existing files on HybridPool will be reorganized in the background to follow these rules, any future changes to HybridPool will be automatically applied in real-time. After setting up these rules, any data that I write to HybridPool will be transparently placed in the correct location, in real-time. The rules that we’ve set up are real-time file placement rules that are implemented in the Operating System’s kernel (for the best performance possible). 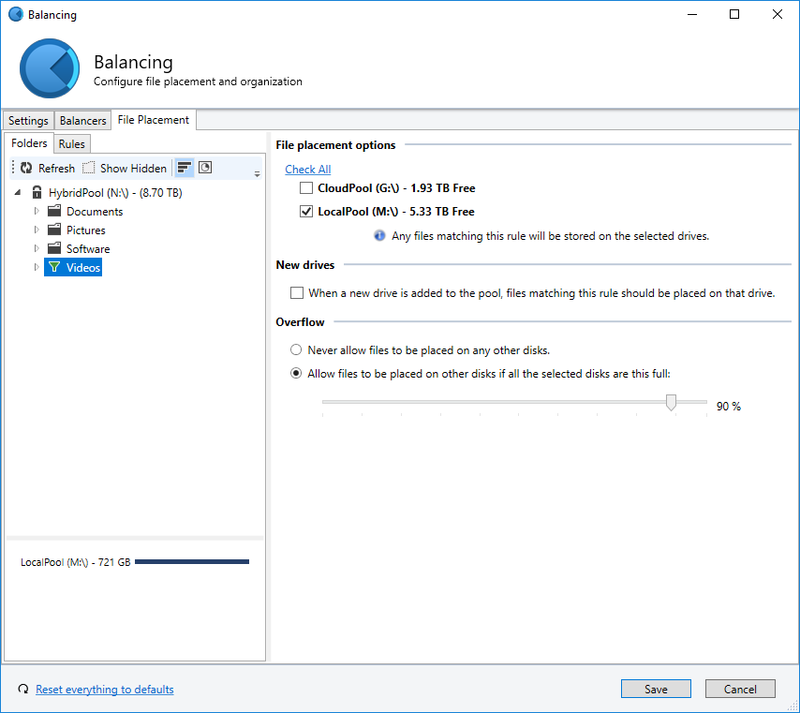 While I chose to use StableBit CloudDrive in conjunction with StableBit DrivePool for this example, you can certainly use hierarchical pooling without StableBit CloudDrive and still benefit from the greater control offered by it. 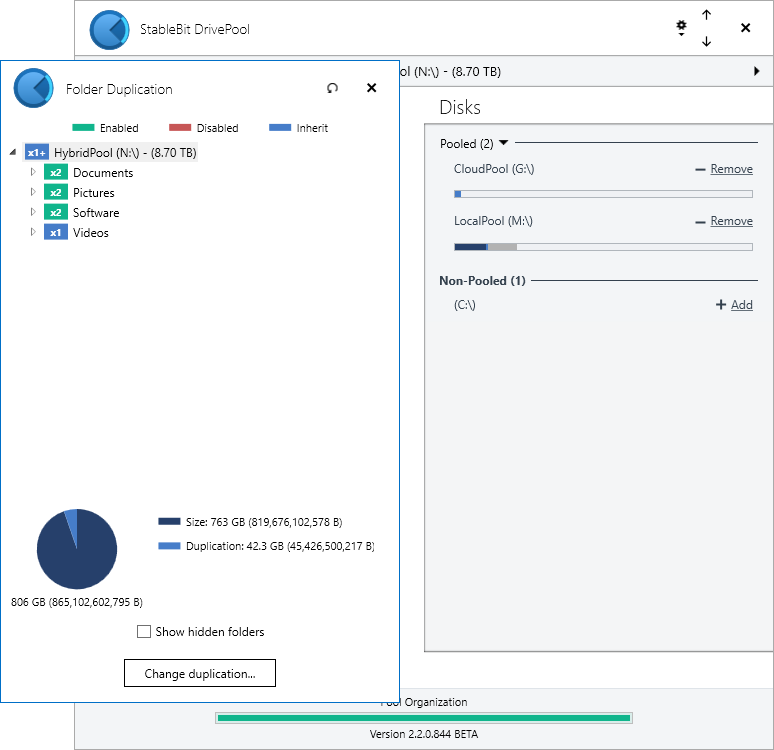 In addition to hierarchical pooling, this new BETA has an upgraded drive removal process. Previously, when you removed a drive from the pool, the entire pool had to be made read-only in order to maintain data consistency while the drive was being removed. With this new BETA, that’s no longer necessary. 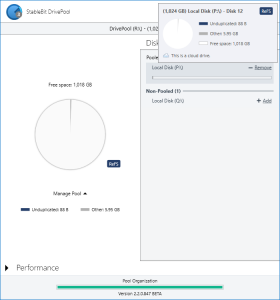 You can now continue to use your pool normally, even while a drive is being removed. 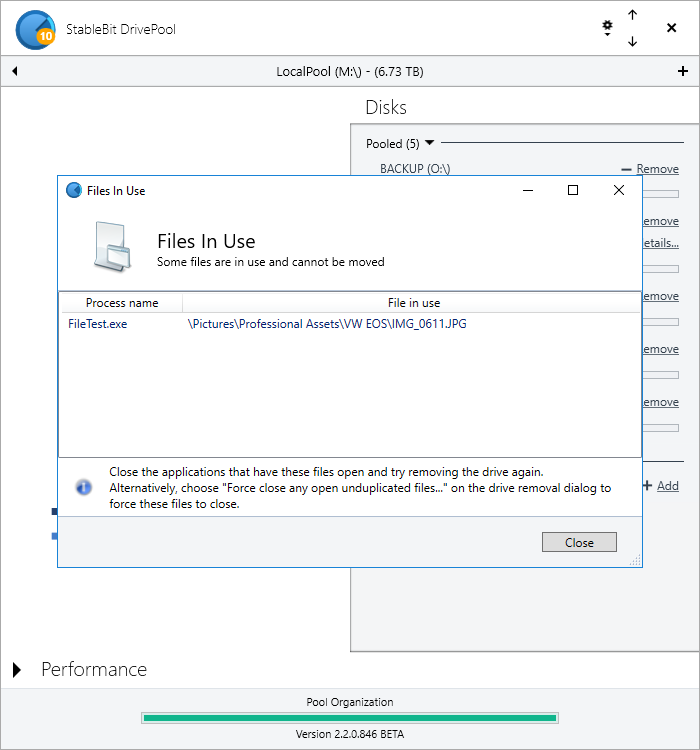 The only limitation here, is that for unduplicated files, if files are in use on the drive that’s being removed, then drive removal will abort and you will get the above error message. 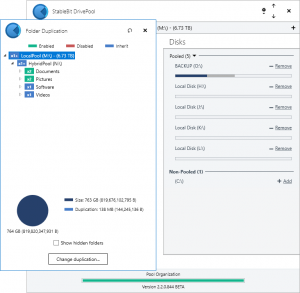 You can close the applications that are using those files and try removing the drive again, which will resume the removal process from where it left off. 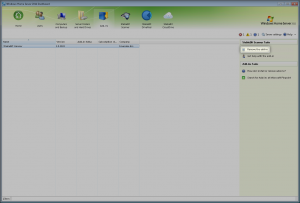 Alternatively, you can choose to force close those files from the Remove Options dialog. With this BETA, StableBit DrivePool is able to create ReFS pools. You can now use an existing ReFS volume to create a new pool or add a ReFS volume to an existing ReFS pool. 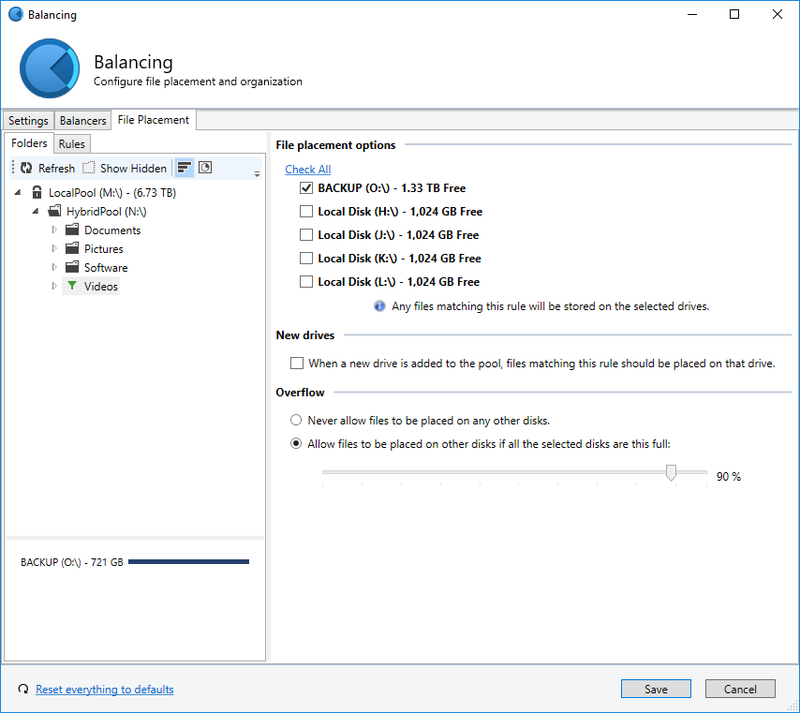 Mixing ReFS and NTFS volumes in the same pool is not allowed. 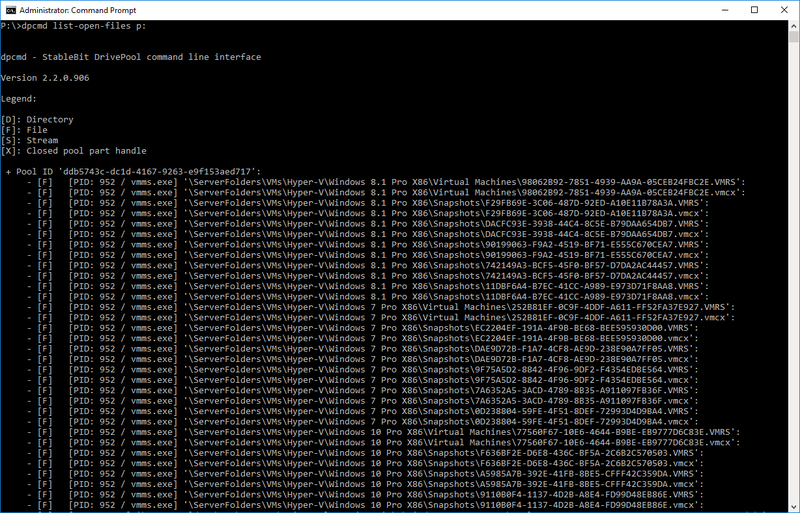 An updated dpcmd command line interface. 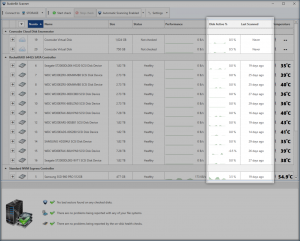 Improved real-time file size tracking. 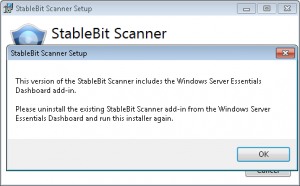 Support for some new Windows 10 / Server 2016 specific APIs. 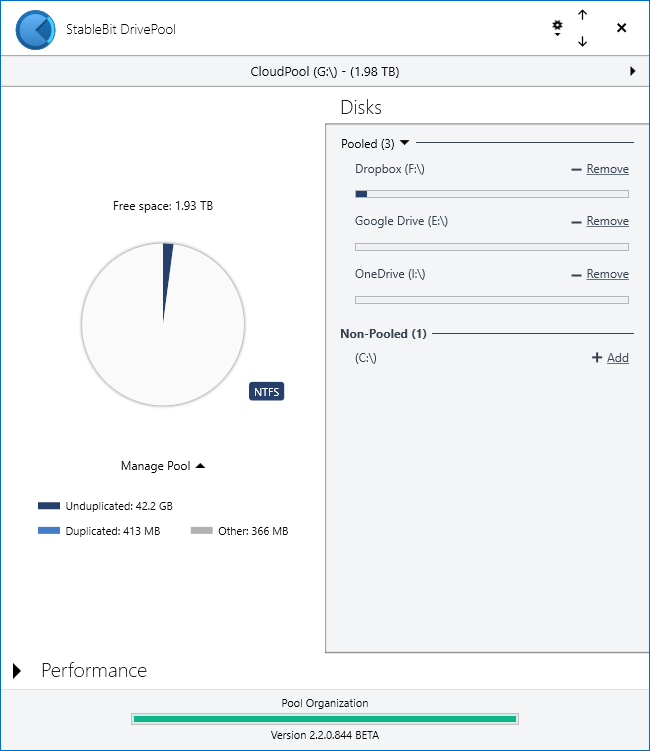 Improved compatibility with StableBit CloudDrive. See the full change log for all of the details. StableBit DrivePool 2.2 is now headed towards a release final. There will not be any more new features added at this point, only bug fixes. 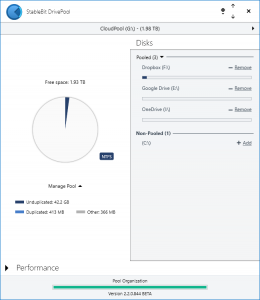 StableBit CloudDrive 1.0.1.879 is now available for download. 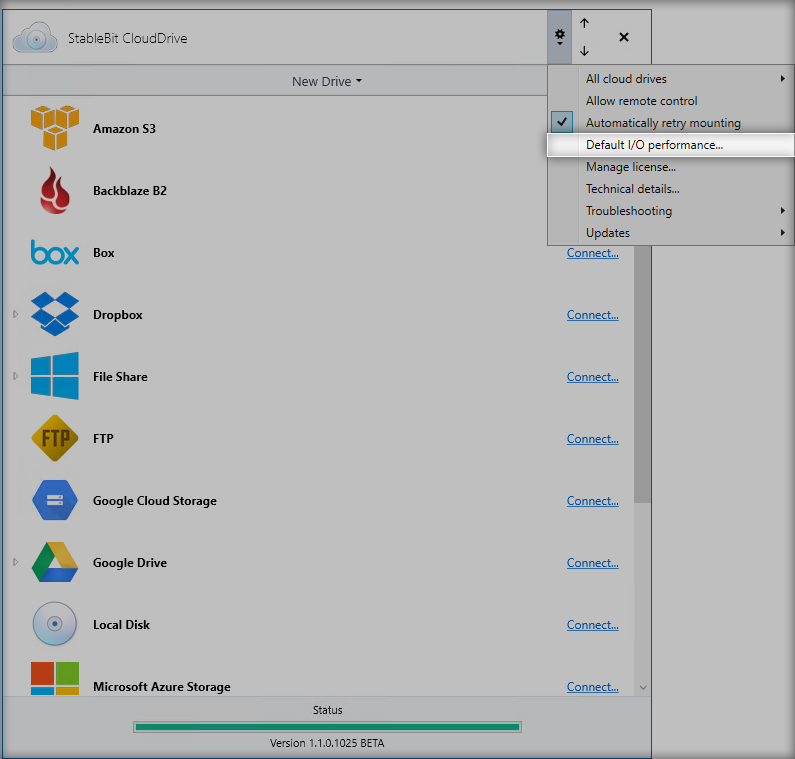 If you’re using Dropbox with StableBit CloudDrive, you should update to this version soon because Dropbox is discontinuing their older v1 API by the end of this month (June 2017). 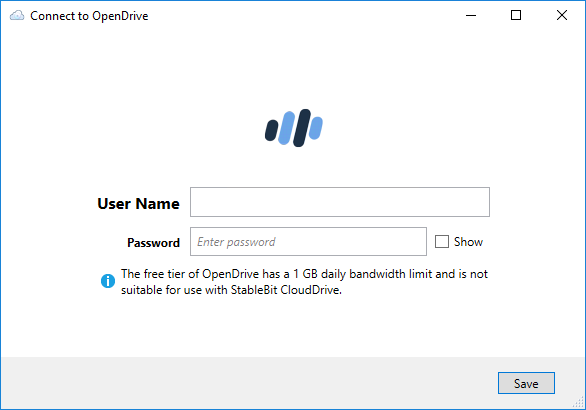 This version of StableBit CloudDrive implements the v2 Dropbox API, which Dropbox is requiring from all 3rd party applications. 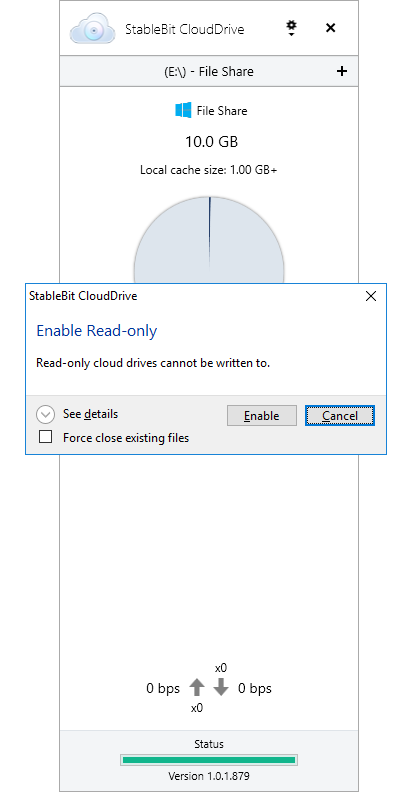 A new read-only mode is now available in StableBit CloudDrive. 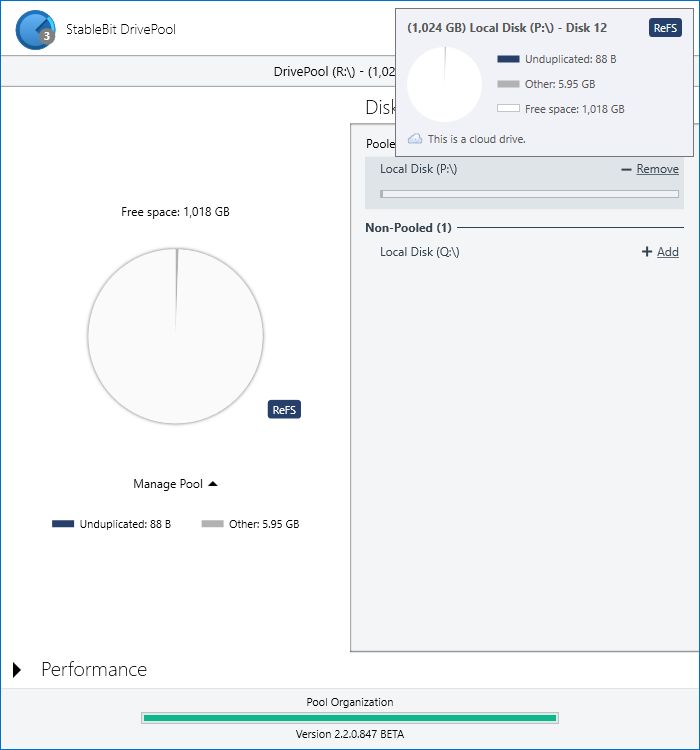 When enabled, a cloud drive will report as a read-only medium, and it will actively reject any write I/O requests directed to it. 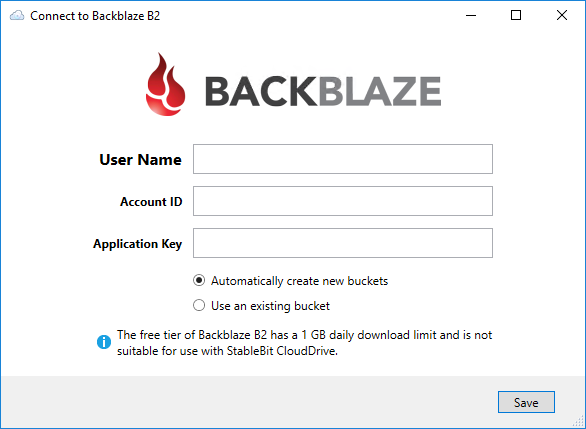 With the prevalence of ransomware today, this option can be useful in thwarting such malware from modifying the data on your cloud drive. 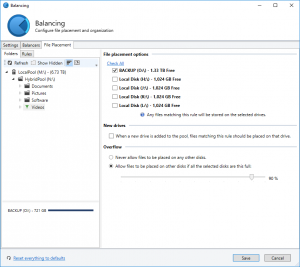 A new option to mount your cloud drives in disconnected mode is now available for data recovery and troubleshooting purposes. 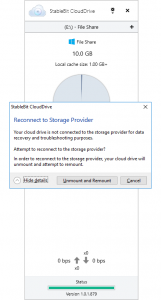 If you ever permanently lose access to your storage provider, it is now possible to mount any attached cloud drives without connecting to the storage provider. 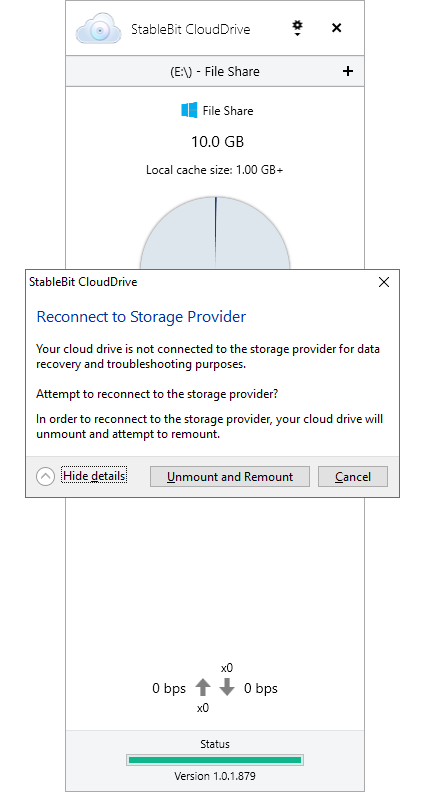 Your cloud drive will now be mounted without connecting to the storage provider. 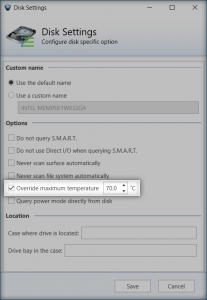 It will use whatever data is available in the local cache in order to complete the drive mount. 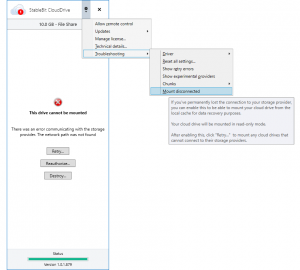 In disconnected mode, the cloud drive will remain read-only, and certain functionality, such as drive resizing, will not be available. 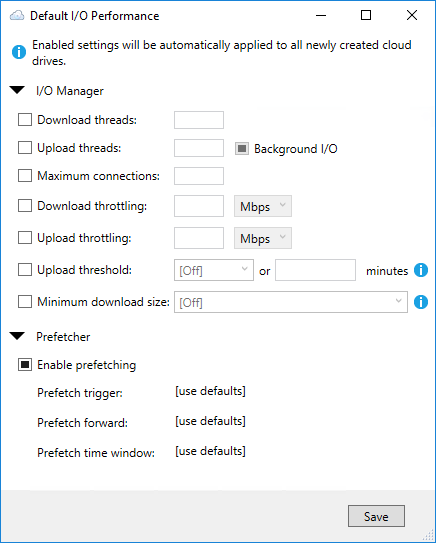 If you are able to restore the connection to your storage provider, you can exit disconnected mode by choosing the Reconnect… option under Manage Drive. 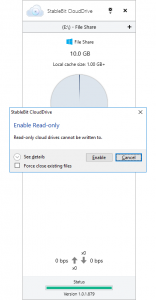 Edit: StableBit CloudDrive 1.0.1.880 fixes a small but significant bug that was present in the driver unload code of 1.0.1.879.